I really don't remember a time when I didn't love books. I have clear memories of my mom reading to me before I could read myself. I found a copy of Alice in Wonderland when I was about four and begged her to read it. She was a bit doubtful, she thought I was too young for the story, but I was enthralled with Alice. Maybe that was the first time I realized that books can take you to another world. Our house was always full of books. We had an enclosed front porch with a shelf all around the perimeter. I would push my way past the bikes stored on the porch and browse through all the books stacked there. Some were children's books but some were not. I remember Shakespeare, and Austen, and Wodehouse, all jumbled in next to The Cat in the Hat and Jemima Puddleduck. No one told me what I could and couldn't read so I dipped in and out of all of it. We would walk to the library once a week. Our arms would ache from lugging the stacks of books we all checked out. I still love the smell of that library, a wonderful aroma of old books and old building. Oh, the excitement of being allowed to check books out of the adult section for the first time. I can't remember how old you had to be, maybe 6th grade, but I do remember feeling like I would never be old enough. I thought it was a crazy rule and I still do. Yes, some books can be inappropriate for small children but guide them in their reading instead of hedging them in by rules. There is nothing more guaranteed to kill a love of reading than having a child excited about a book and then taking it away from them because you feel they aren't ready for it. Let them try. Maybe there will be words they don't understand and maybe they will miss nuances of the story but let them keep that excitement and eagerness. They can read the book again when they are older and then they will get something different out of it. When I was in second grade, my classroom had a copy of Little Women by Louisa May Alcott. I can still remember picking it up off the book table. It was big and fat and so appealing. My teacher walked over and told me it was too hard for me (see my problems with this mindset?) but I begged and she finally let me take it home. I loved it. I wanted to be Jo March. I don't think I noticed that it was an old book or that it could be slightly preachy at times. All I knew was that it was a great story, and I read it over and over and over. I cried when Beth died, I was devastated when Jo didn't marry Laurie, and I yearned to eat pickled limes even though I wasn't quite sure what they were. The next author I remember falling in love with was Jane Austen. 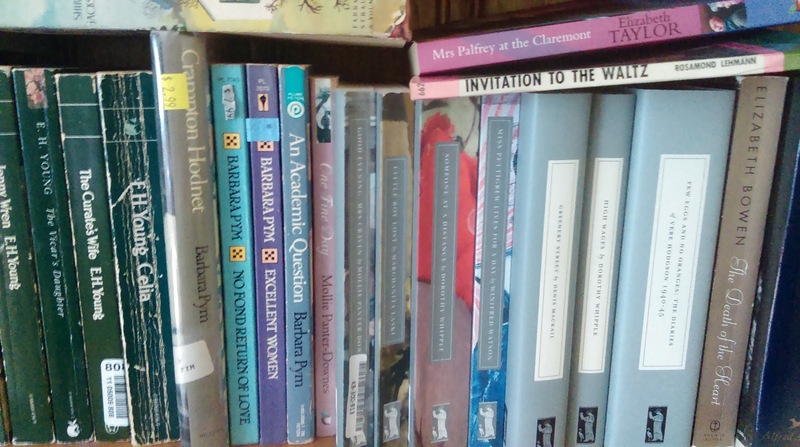 She was my mother's favorite author so her books were all over the house. I was always curious about Pride and Prejudice since my mom read it so much and one day she handed it to me and told me she thought I would like it. I did. Elizabeth Bennett was another character I wanted to become. Jane Austen is still my comfort author. If I am having a bad day I read something of hers. She is witty and insightful and her stories are as true today as they were when they were written. 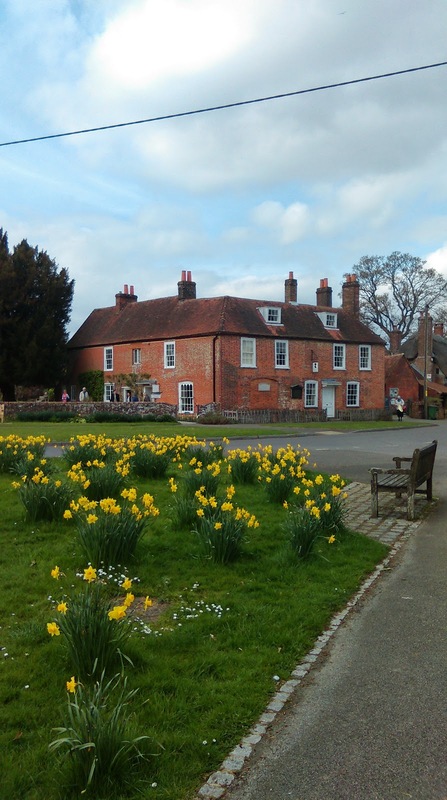 In April my husband and I went to England for a week and visiting Chawton was top of my list. So, what do I read now? I have a Kindle for the convenience and I enjoy reading Victorian novelists. But I also like authors such as Elizabeth Taylor, E.M. Delafield, and Mollie Panter-Downes. For pure escapism, nothing beats a binge reading of Georgette Heyer. I discovered Persephone Books and that has widened my reading horizons. I have been to their bookshop a couple of times when we have been in London. It is charming and fun and so hard to pick which books to buy. I highly recommend it. I also am fascinated by England during WWII. Not the war itself, but the way people reacted to the war. I have read a lot of books about the home front and many of the compilations of Mass Observation diaries. So why do I love to read? Pinterest is full of quotes about the joy of reading and I actually agree with them. Reading is an escape. Reading helps create empathy. Reading is an education and takes you to worlds and peoples beyond your own. Reading is fun. My mother gave me a box set of Louisa May Alcott's books when I was seven or so. I'm glad no one told her (or me) that I was too young to read them! I loved Little Women, but also Eight Cousins and Jack & Jill. I didn't discover An Old-Fashioned Girl and Rose in Bloom til later - now they're favorites. Now I think I might need to reread An Old-Fashioned Girl. I recently bought a copy of Rose in Bloom for my daughter. I enjoy watching her read all the things I have loved.